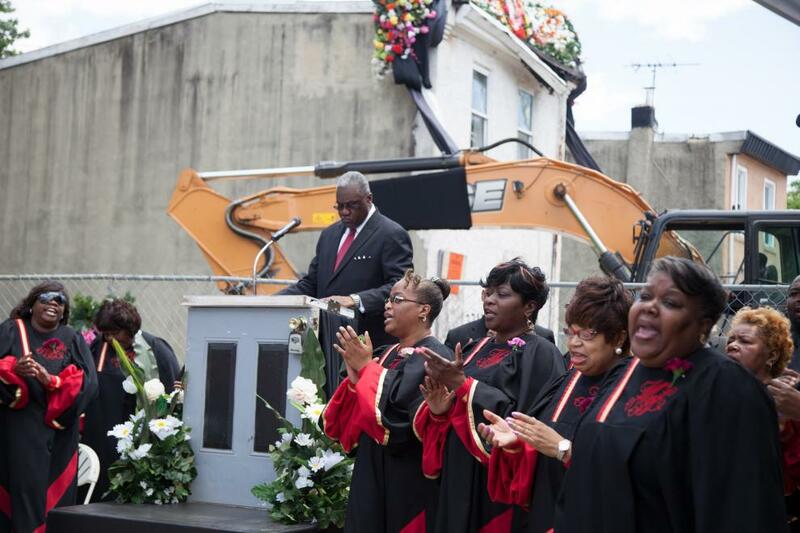 Every year, nearly 600 homes are demolished in the city of Philadelphia. Each of these households represent a colorful history of family and community, and yet their demise often comes unceremoniously and goes unrecognized. A yearlong effort to properly commemorate the long life of one such home on the brink of demolition, a modest, vacant rowhouse located at 3711 Melon St. in West Philadelphia’s Mantua neighborhood, Temple Contemporary presents the public-history-meets-public-art project Funeral for a Home (funeralforahome.org). Arranged by Temple Contemporary and designed by local artists Billy and Steven Dufala, and in collaboration with the Mantua Civic Association, Mount Vernon Manor Inc., Mt. Olive Baptist Church, Mantua Community Improvement Committee, The H.U.B. 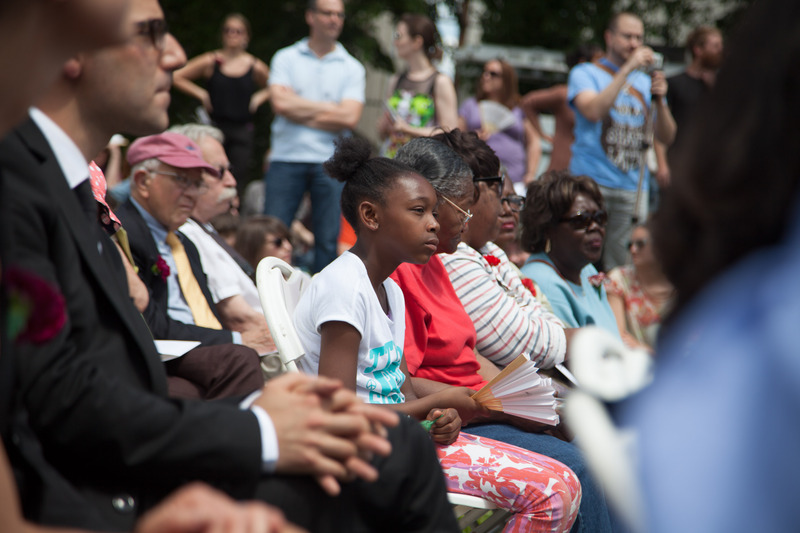 Coalition, Da Bottom 4, Play on Philly, and public historians and residents, this unprecedented project has been supported by the Pew Center for Arts & Heritage. Canary Promotion is providing full-service media relations for Funeral for a Home, which brings together Mantua civic leaders, neighborhood organizations, artists, public historians and residents who have worked throughout the year to offer reflections of the house as well as the proud history and promising future of Mantua. Temple Contemporary (previously known as Temple Gallery) at Tyler School of Art has an artistic lineage that stretches back to the mid 1980s. Formerly located in Philadelphia’s Old City, Temple Contemporary was closed and re-opened in 2009 as a 3,400-square-foot purpose-built gallery inside the new Tyler School of Art at Temple University’s main campus in North Philadelphia. 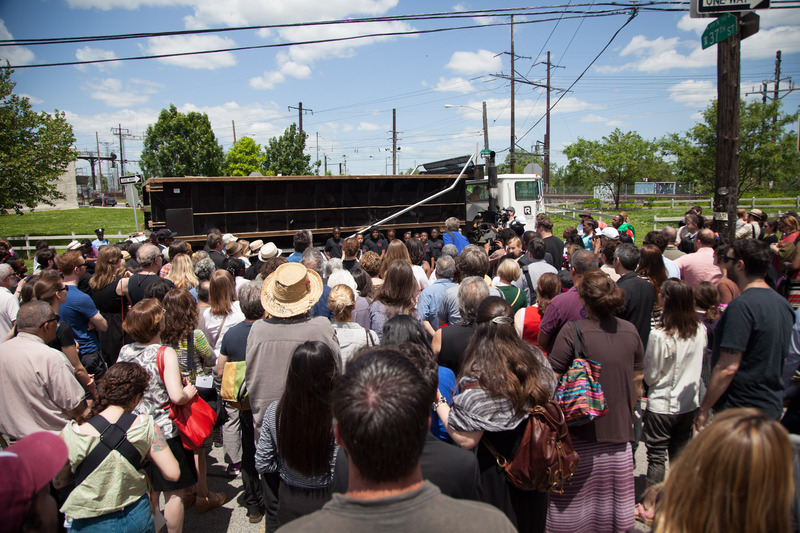 Temple Contemporary’s programming is determined by a 35-member advisory council representing a broad spectrum of Philadelphia. This volunteer council is composed of neighboring high school and Temple students, faculty and civic leaders representing a range of interests (economists, farmers, philosophers, artists, community activists, historians, etc.). To each of Temple Contemporary’s public Advisory Council meetings, every adviser brings one question of local relevance and international significance that they do not know the answer to. After all of the questions are discussed, the council votes for the questions that are anticipated to creatively address Philadelphia’s greatest social and cultural needs. 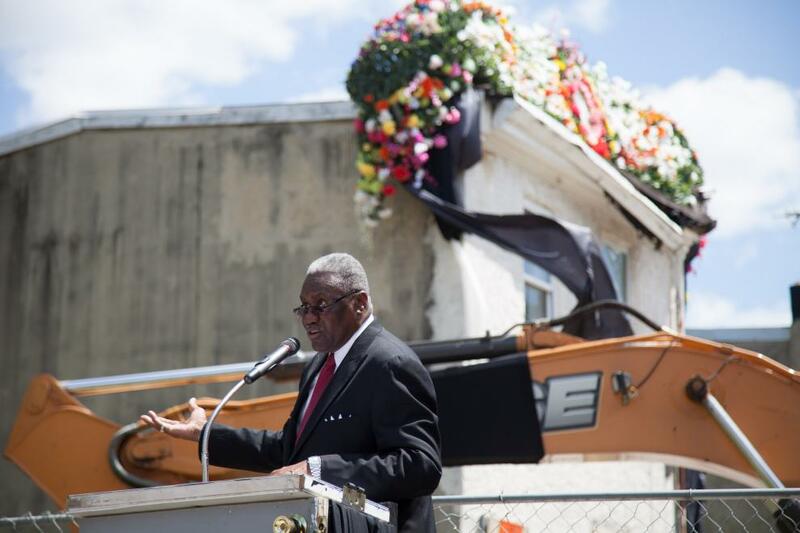 The concept for Funeral for a Home came about from a question raised by the Advisory Council about the surplus of Philadelphia housing and the issue of housing demolition in the city. Funeral for a Home is ultimately Temple Contemporary’s response to this original question. Saturday, May 31, 11 a.m. – 2 p.m.